Chances are, all of us don’t analyze every label on the face wash, deodorant, shampoo, conditioner, and other products housed in our bathrooms. If you’re interested in educating yourself on the ingredients in your daily personal products and the hazardous effects they may have on your skin and health, it’s time to check out The Environmental Working Group’s Skin Deep database. The database includes product and ingredient safety ratings. Look up a specific product, brand, or ingredient for detailed information on any possible health concerns in your favorite items. Every product has two scores—a hazard score and a data availability score. The hazard score reflects the amount of known hazardous ingredients in the product, while the data availability rating (ranging from none to robust) measures the number of studies conducted on an ingredient. Each product is measured on a scale of one to 10. Zero to two signifies low hazard, three to six denotes moderate hazard, and seven to 10 means high hazard. Don’t like what you see? You can search by category to compare products by ranking and find the safest one for you. Some products receive shockingly high scores, even those deemed “natural,” so it’s a good idea to research items before believing marketing terms. 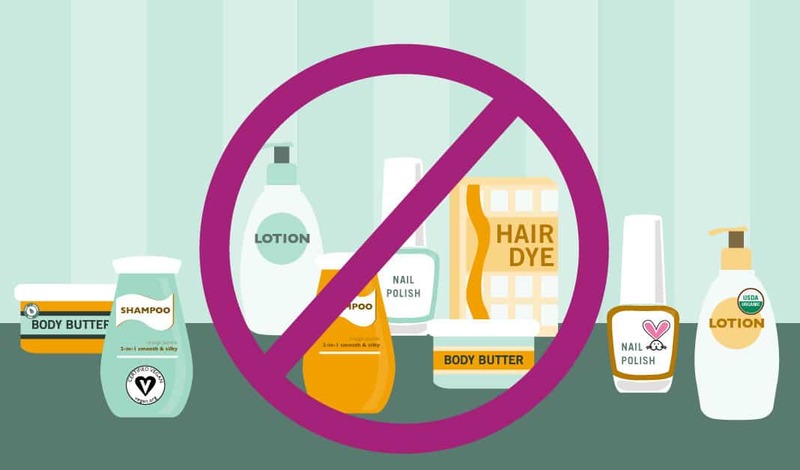 While personal care products with natural in the title seem legitimate, the term is not regulated, and any brand can make that claim on a label, whether it’s true or not. 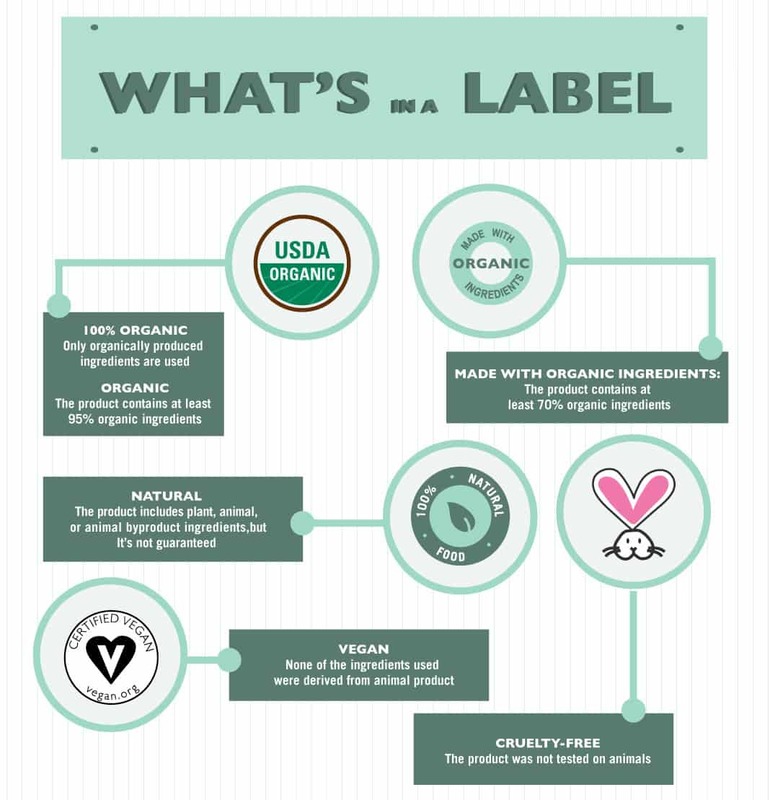 Organic, on the other hand, is a regulated term: Companies have to apply for a certification for the USDA Organic label, which signifies the product is made with at least 95 percent organic ingredients. “Natural” indicates the ingredients come from any plant, animal, or animal byproduct but does not include how those ingredients were manufactured. Organic means they were cultivated without pesticides, growth hormones, or other potentially harmful ingredients. So avoid focusing too much emphasis on a product’s front label and look at the ingredients on the back. “Natural” doesn’t necessarily mean better, as some natural ingredients have no benefit to the skin. The Skin Deep database breaks down each ingredient and the harmful effects they can have, including cancer risk, reproductive and developmental toxicity, and allergens. If you suffer from allergies or skin irritation, cutting out allergen-containing personal care products may help. Fragrance is noted as a common allergen in several products listed in the database, so opting for fragrance-free lotions and washes can reduce irritation for those with sensitive skin. One study proved cosmetics are the main cause of fragrance allergies; deodorant accounted for 25 percent and scented lotions accounted for 24.4 percent. Scouring the database may not cross your mind if the daily moisturizer you slather on your face doesn’t cause any irritation. But some products can damage the environment, not just your health. Skin Deep also notes if products are tested on animals. Even if the company doesn’t test on animals, the ingredients themselves could be. Some ingredients, such as palm oil, are touted as great for the skin, but cause environmental problems. The increased demand for palm oil has caused deforestation in countries including Indonesia and Malaysia. If you swear by it, look for companies that produce the ingredient sustainably, or for a similar alternative, such as coconut oil. Overwhelmed with what you see at the drugstore? Simple is usually better. Look for fragrance-free products with fewer ingredients or whip up a DIY alternative to avoid harsh chemicals.